De OPPO BDP-103 is een duidelijke evolutie in design en engineering. Hij is beladen met een groot aantal nieuwe functies. Zo biedt hij ondersteuning voor streaming diensten zoals: Youtube, Netflix. Daarnaast kunt u ook uw muziek, foto en video bestanden streamen die opgeslagen zijn op een computer of NAS binnen uw netwerk. Naast Blu-ray wordt ondersteuning geboden voor tal van extra schijf- en bestandsformaten, zoals: dvd, CD, SACD, HDCD, Kodak Picture CD, AVCHD, MP4, AVI, MKV en andere audio, video en foto bestanden. De BDP-103 biedt volledige ondersteuning voor high resolution lossless WAV en FLAC audio-formaten. De BDP-103 is voorzien van een Marvell Kyoto-G2H video processor met de nieuwste generatie Qdeo ™ technologie. Dit resulteert in een meeslepende kijkervaring dankzij een beeld dat vrij is van ruis en artefacten. De speler is uitgevoerd met een video up-scaler tot maar liefst 4K. Deze up-scaler overbrugt de visuele kloof van uw huidige dvd-collectie naar Blu-ray-dics. 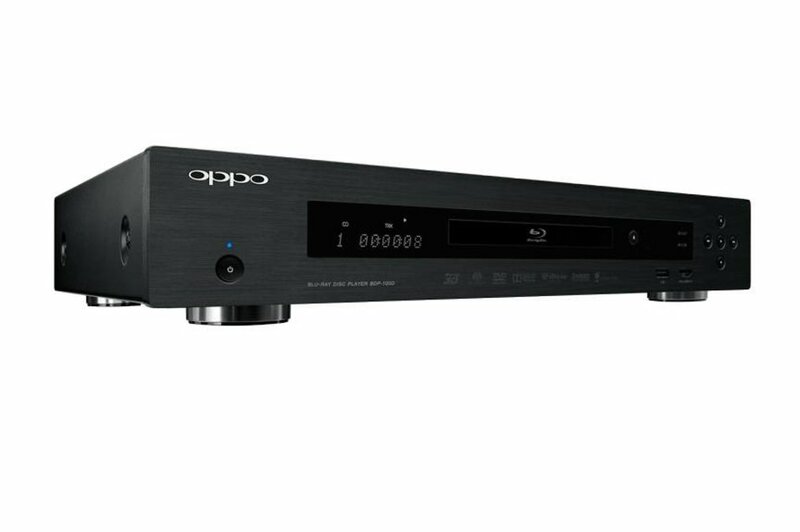 De OPPO MediaControl app maakt van uw mobiele apparaat een afstandsbediening die volledige controle over uw OPPO Blu-ray-speler biedt. Met de handige app bladert u door uw mediabibliotheek. The BDP-103EU represents a marked evolution in OPPO's design and engineering. With a host of new features, improved network streaming applications and an enriched media playback interface, the BDP-103EU is a versatile player that delivers quality picture and premium sound. 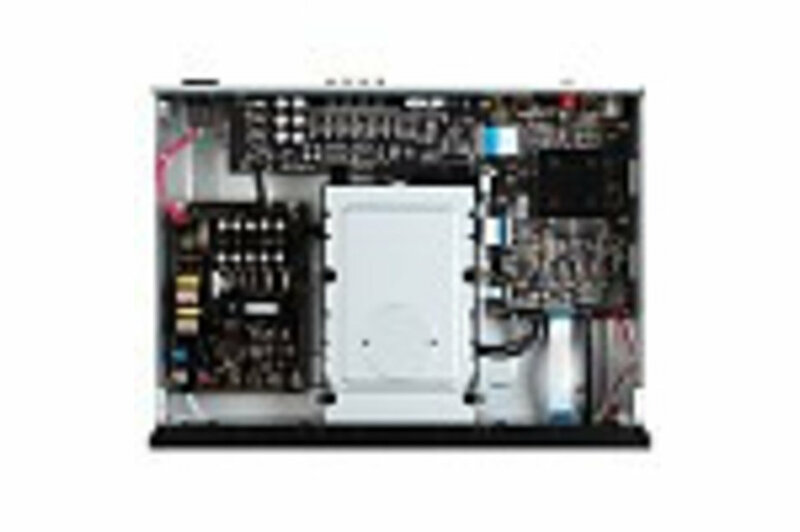 The BDP-103 Incorporates Marvell's Kyoto G2H video processor with the latest generation Qdeo ™ technology. Qdeo video processing delivers a truly immersive viewing experience by rendering quiet natural video free of noise and artifacts for all types of content. 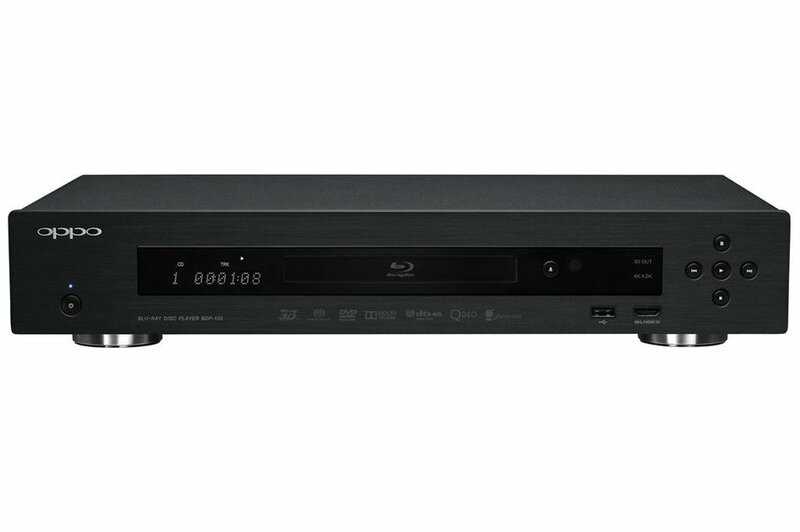 For high-quality Blu-ray content the BDP-103 faithfully reproduces the program just as the director Intended; DVD for the up-converted picture quality bridges the visual gap from your current DVD library to Blu-ray discs; for network streaming and user-encoded content at a variety of formats and quality the BDP-103 offers enhancement options-including video noise reduction, compression artifact reduction, intelligent color contrast detail and edge enhancements. The BDP-103 entertains with a variety of media options. In Addition to Netflix VUDU, CinemaNow Pandora and Rhapsody, the BDP-103 Provides access to popular entertainment network services from Film Fresh YouTube Leanback and Picasa. Additional disc and file formats zoals DVD audio CD HDCD, Kodak Picture CD, AVCHD MP4 AVI MKV and other audio / video / picture files on recorded discs or USB drives can be played back on the BDP-103. The BDP-103 fully supports high-resolution WAV and FLAC lossless audio formats. Full Roku streaming experience with an optional Roku Streaming Stick plugged in to the MHL input; Up to 1080p HD; 750+ entertainment channels; Dual-band extended-range wireless; Compatible with Roku Game Remote. Blu-ray Disc - The high definition Blu-ray Disc ™ format biedt pristine video and audio quality for your home entertainment. 2D to 3D Conversion - Take your standard DVD Blu-ray and other video content to the next dimension by converting them into 3D with the simple press of a button. The BDP-103 ook can adjust the depth and eye convergence levels to suit your personal preference. SACDSACD - The BDP-103 plays Super Audio CD (SACD) and supports both stereo and multi-channel high resolution audio programs. Users can select Whether to output the DSD (Direct Stream Digital) signal in its native format or convert it into PCM. AudioDVD DVD-Audio - The BDP-103 plays DVD-Audio and supports both stereo and multi-channel high resolution audio programs. Users can select Whether to play the DVD-Audio or the DVD-Video portion of the disc. Netflix Instant Streaming - Instantly watch TV shows & movies streaming from Netflix2. Netflix "Just For Kids" is a special selection of kid-friendly TV episodes & movies for younger viewers. It is included with your Netflix unlimited streaming membership. Selected titles features-including support 1080p video 5.1ch audio subtitles and alternative audio languages. VuduVUDU HD Movie Streaming - Stream movies instantly thou sands of the day-and-date They are released on DVD / Blu-ray in stunning 1080p video rich 7.1 surround audio and even in 3D3. Pandora Pandora Internet Radio - Personalized music streaming using the Music Genome Project, staying true to Their mission: "Playing only the music you'll love"
Rhapsody Rhapsody Online Music - Meet your new music collection complete with millions of songs or entire albums and artist hits the voltage decades. This is more than just internet radio. This is the power to play exactly the songs you want. Comprehensive Internet Streaming - In Addition to Netflix VUDU, CinemaNow Pandora and Rhapsody, the BDP-103 Provides access to popular entertainment network services from Film Fresh YouTube Leanback and Picasa. BD-Live and BonusView - The BDP-103 supports BD-Live ™ (Profile 2.0) and contains all Necessary hardware - audio / video decoder, Ethernet and wireless networking and 1GB of internal storage - for BD-Live. It ook supports BonusView (Profile 1.1) enabling "picture-in-picture" and audio features for viewing director or actor commentary while the main movie is playing. Additional Disc & Media Formats - Additional disc and file formats zoals DVD audio CD HDCD, Kodak Picture CD, AVCHD MP4 AVI MKV and other audio / video / picture files on recorded discs or USB drives can be played back on the BDP-103. The BDP-103 fully supports high-resolution WAV and FLAC lossless audio formats. Roku Roku Ready Ready ™ - Full Roku streaming experience with an optional Roku Streaming Stick plugged in to the MHL input; Up to 1080p HD; 750+ entertainment channels; Dual-band extended-range wireless; Compatible with Roku Game Remote.